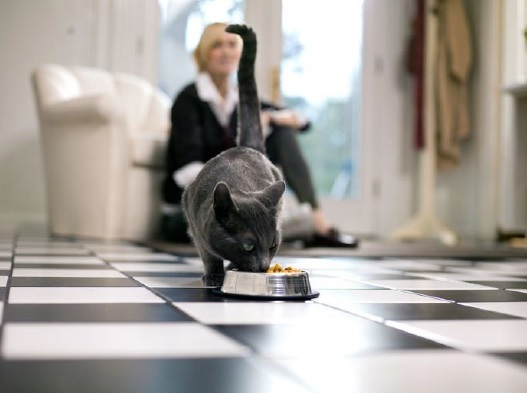 Know about the distinct types of cat foods – Before buying any food stuff for your pet friend, you must know that what kinds of foods are available for your cat or kitten. Your cute companion would require a kind of food that is based on her breed, temperament and dietary requirements. For your kitten, the safest bet always is to buy grain free kitten food. Like human child these kittens too need proper nourishment and care to grow in a healthy way. And while choosing foods you must focus on the best for it. Know about the foods – Cat foods are available in four categories – Wet cat food, dry cat food, special formula cat food and raw cat food. Wet cat food is soft and moist; you will get it in cans. Additionally, the food is not dehydrated and its moisture content is very high, and has low calories as compared to dry food. Dry cat food may not be suitable for some cats as it contains more carbohydrates. Special formula cat food is for those cats which have health problems, like bone disease, obesity and so on. Raw cat food is preferred by some pet lovers and it contains more supplements. You should know that it is always good to buy grain free pet food as your cats need to eat foods that are suitable for their digestive system and health. Think about the merits of each and every food type -There are many types of cat food, however, you must know that which food is the best for your feline friend. Some people think that giving canned food to a cat is good, while others believe that wet food or dry food can keep the pet healthy. Raw cat food is also good for your pet, but it is costly. If your pet frequently drinks water, then you can feed your pet with dry cat food. You can give your cat wet dry food if your cat is not drinking enough water in a day. Before altering the food habits of your cat, you should consult with your vet – Your vet knows more about your cat’s health and best food items better than you. Your friends may change the dietary plans of their pets on their own, but don’t take such a decision in haste. Only the vet can tell you that what type of food material will be appropriate for your cat’s well being.